Drag Dairy aged metal plus Hot Pink flames! This one is rare indeed! One of one creation to say the least! It started as one of my realistic faux paint textures. The effect done using four different colors of paints from chrome to black with some pearl silver and galaxy grey layered in and over each other, while using several techniques like dry brushing and literal scrapes…to eventually get a believable look of aged metal. But…again….its all paint!! Then I needed something that would contrast this aged metal patina and thought what would be a more stark contrast than HOT PINK!!? 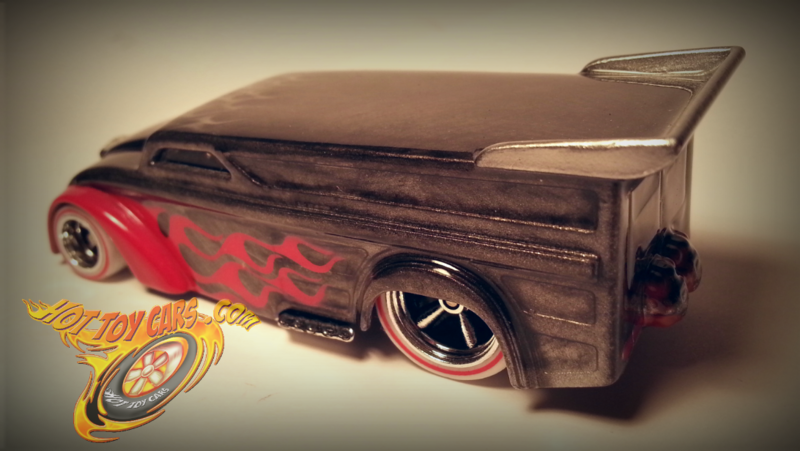 Thus the side flames were born from a two stage custom mix of auto air/wicked colors. I had to leave it at that point because I thought it might be toooooo much of a contrast. But eventually warmed up to the combo. I thought it might need a little more tho and added some chrome-ish flames on roof and nose! All lights and chutes detailed as well as the rear windows blacked out. Chassis features white redline rubber tires! Was disassembled and black washed to bring out more detail and tone done the bright chrome appearance a little. Wheels also black washed. Seat/roll cage pretty much stock except a few well placed exacto cuts to remove parts of the steering wheel and roll cage above driver seat. Body is removeable. It will also stay attached to chassis when fully closed OR..fully upright position. The odd mix of colors and patina…really does go well with each other, from body to tires! Watch for the SALE LINK to be announced soon!! Previous PostFirst look! 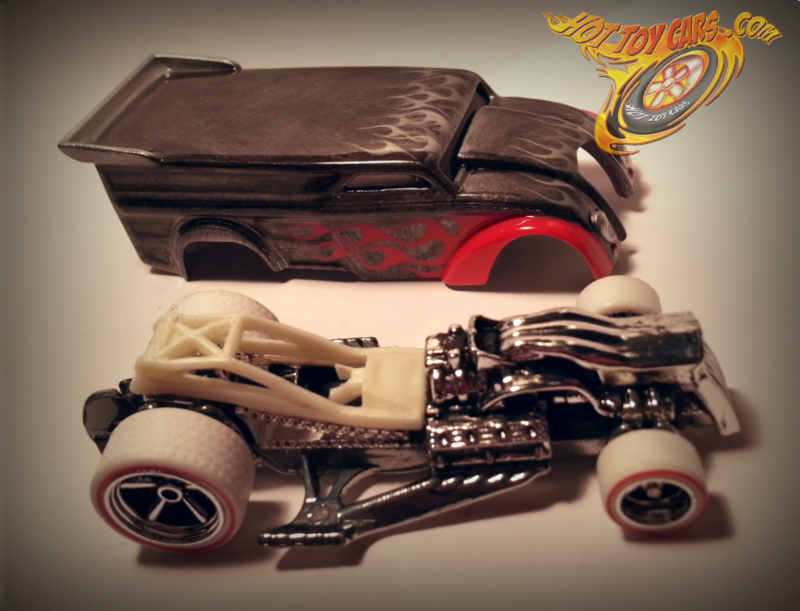 1of1 candy fade plus multilayer flames drag bus!Next PostThunder Drag Bus – case art preview!